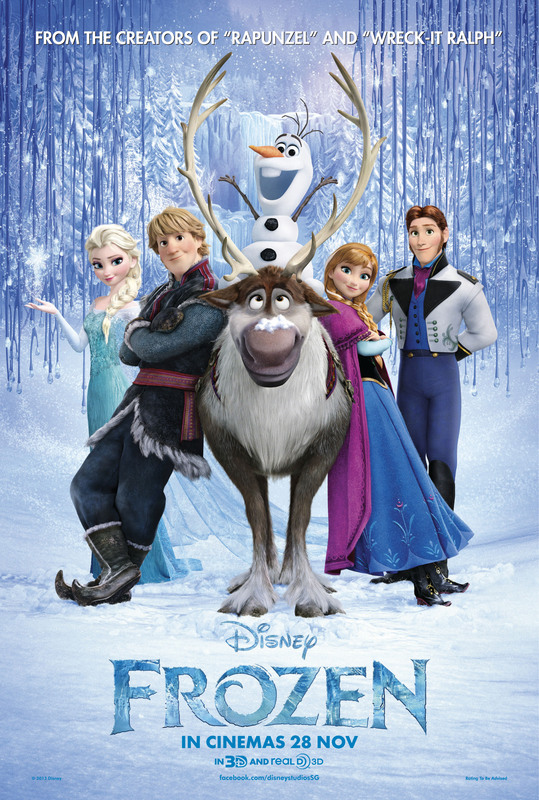 This past week, my family and I were invited to watch a preview of Walt Disney Animation Studio’s 53rd feature, FROZEN, this year’s highly anticipated animated film inspired by Hans Christian Andersen‘s fairytale “The Snow Queen“ and brought to life under the watchful eye of directors Jennifer Lee (the first female director in Disney Animation feature history and screenwriter of “Wreck-It Ralph“) and Chris Buck (Disney Animation veteran). I initially had my reservations about the film, as I thought that this might be a throwaway cartoon wholly dependent on its wintry environment (and TWO new Disney princesses who both resembled Rapunzel from ‘Tangled’) to carry it through the Christmas holiday season…but I am pleased to say that I was wrong wrong wrong and THIS. MOVIE. IS. AWESOME! There’s something in it for everyone: boys and girls and even jaded grownups too. I’m not Rapunzel, no, I’m entirely a Different Girl. 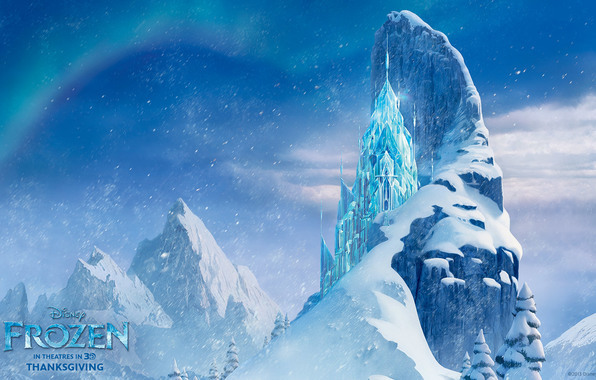 Frozen tells the story of Elsa (voiced by Tony award-winning Broadway star Idina Menzel) who is blessed/cursed with awesome cryokinetic powers, and her younger sister Anna (Kristen Bell) who are heirs to the fictional Norwegian kingdom of Arendelle. Princess Anna is adventurous and carefree but immature, whilst Queen Elsa’s life is complicated by her magical powers, forcing her into miserable isolation. The relationship between the two leading ladies is the crux of the film and as their two personalities are complete opposites, this leaves room for the audience to relate to one or the other. It’s wonderful watching the emotional journey of both girls, who break free from the traditional Disney Princess stereotypes. Hans and Kristoff, the ‘Prince Charming’ characters, are both strong male leads and it was intriguing to see their behaviour and motivations change and unfold throughout the film. Ah, that Alan Tudyk. He cracks me up every time. 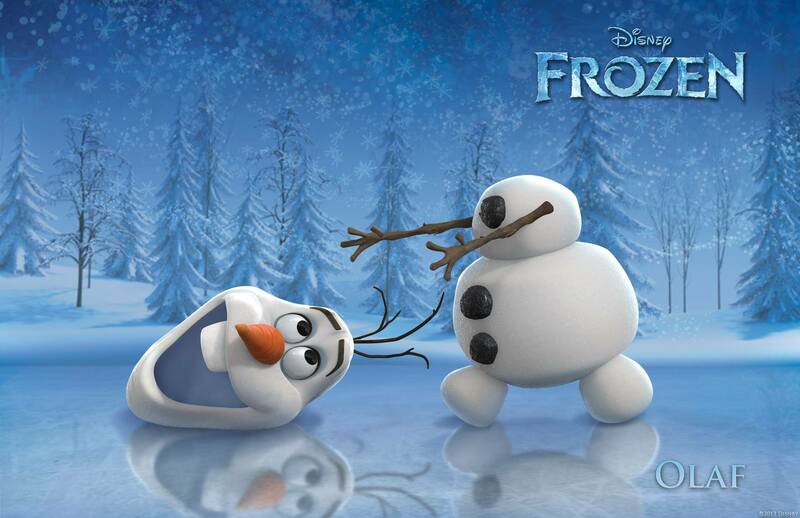 I even (reluctantly) became rather fond of the animated snowclownman, Olaf (Josh Gad). Although he is featured heavily in the trailers, this is not his film and he is around just enough to keep things lighthearted without becoming trite. The little ones in the audience will love this sweet little guy who loves warm hugs (and summer!). Mommy Warning: There are a couple of very tense moments, and some scary chase scenes, so if you have sensitive children, you might want to prep them for the film by showing them the movie trailer first. My personal favourite character (also J and Little E’s favourite ) is Queen Elsa, but this might be because she has the prettiest dress I’ve ever seen onscreen – a glamorous, glittering creation inspired by traditional Norwegian rosemaling, crowned with a 12-foot cape of ice crystals. Yes, that must be it. I’m shallow like that. I don’t often say this about films, but Frozen is DEFINITELY one of those movies that you will want to see in Glorious, Glorious 3-D! The visuals in this movie are truly stunning and it’s obvious that the art direction was geared towards making full use of 3D special effects when rendering the film’s shots in both the intimate interior moments to the spectacular sweeping landscapes. There were so many moments when both my children stretched out their hands to try and touch the snowflakes! The keen attention to detail really makes the whole movie just beautiful to look at. You can really tell that the artists did a lot of research on Scandinavian architecture and aesthetics to create a unique look for the setting of the film. Pack an extra jumper – you’ll need it. The snow and ice was a great challenge for the animation team, who had to invent new software technology (appropriately called ‘Matterhorn‘) in order to create the varied textures of snow, frost and ice. The result? Absolutely breathtaking. But what really sets the tone for the movie is the soundtrack. 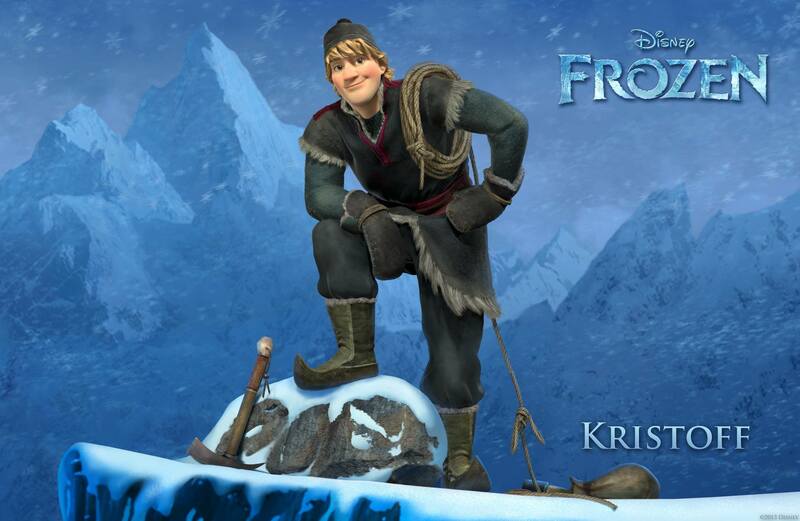 The music for Frozen is composed by Christophe Beck who incorporated Norwegian folk music (like kulning, a Scandinavian herding call similar to the Alpine yodel) into the soundtrack. The eight original songs in the score are written by award-winning Broadway composers Kristen Anderson-Lopez and Robert Lopez, the latter being the genius behind “Avenue Q” and “The Book of Mormon“, so the songs have that very big, dynamic, stage-musical feel. In fact, The Husband predicts that the movie will be made into a Broadway musical within a year, and I won’t be at all surprised if the power ballad ‘Let It Go‘ wins an award next year. Apart from some weak moments in the dialogue and a few cringe-worthy cheap jokes, the movie as a whole is dazzling and strongly appealing. It was a real hit with my whole family! 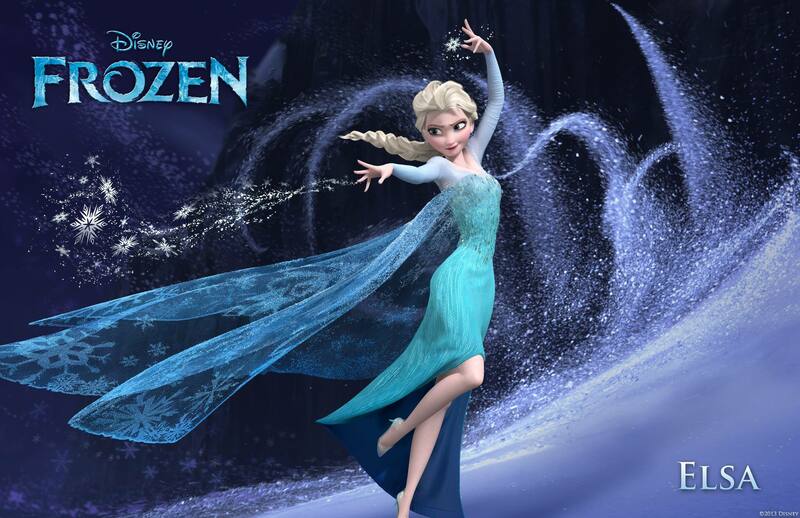 Debs G rates Frozen: 9 out of 10 stars! Oh, and if you catch the movie in theatres, you’ll have the added benefit of watching the new Mickey Mouse short ‘Get a Horse!‘, which absolutely MUST be viewed in 3D! It even features Walt Disney’s own voice (painstakingly assembled from archival voice track recordings) and is a brilliant hybrid of different animation styles. P.S. 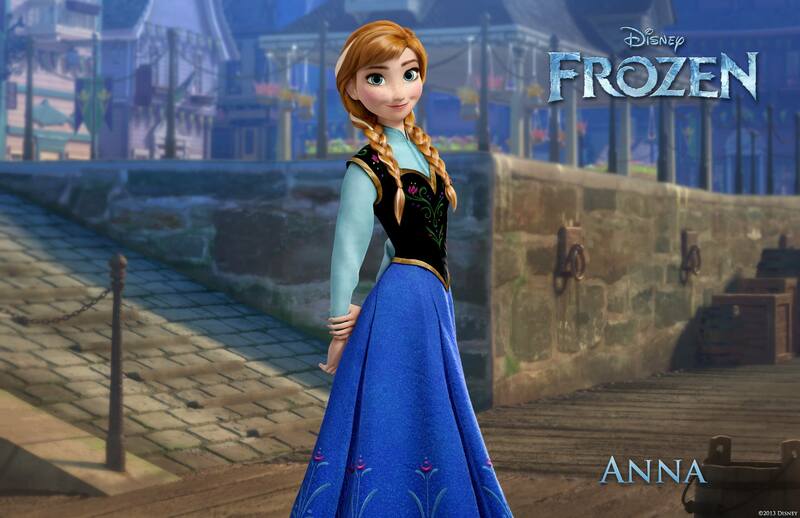 Don’t forget to catch the Disney’s Princess Film Festival which is on now until the premiere of FROZEN on 28 November 2013. P.P.S. Check out Princess Dana’s Diaries for some Frozen-inspired activities, printables and crafts! 1.Honestly, I should have had more faith – after all, the Executive Producer of the film is the Pixar Genius, John Lasseter! ALL HAIL THE MIGHTY JOHN LASSETER. 2.FINALLY, a Disney Queen that is young, beautiful and GOOD. 3.Not pronounced ‘Weasel-town’. Of course not. I would never. 4.J likes her because she has superpowers. Little E likes her because she gets to wear that awesome gown. Love your review Deb! I LOVED the film and I also think it was scripted to move seamlessly onto Broadway. Was little E alright with the show? Naomi cried, despite me having prepped her with trailers the day before. I think it was a bit too exciting for her at times. Thanks! Little E really loved the show – she became teary during Queen Elsa’s song and during the ending because it was so moving! She was a little bit tense during the scary chase bits but I can imagine that other little kids might need a cuddle to get over those. My advice for moms wanting to overcome the scary level of this movie is: watch ‘Beauty and the Beast’ at home with your child in your lap! Nice review Deb. It’s a sweet, little movie that’s fun for everybody in the family. Even the parents! Thanks so much! That movie was amazing!